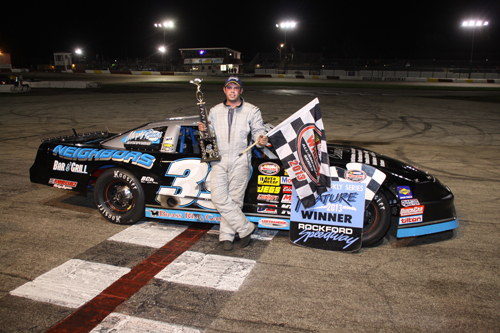 For the second time in three successive Saturday nights, and for the third time in four races this season, the Machesney Park driver Alex Papini # 39 again found himself the victor, topping his rivals in the divisions 30-lap main event on Tractor Town Kids Night. 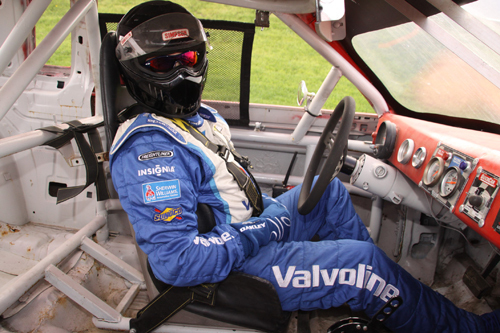 A look from within shows the driver of # 27 RockStar RoadRunner Ricky Neilsen Rcokford, Illinois.Waiting as he awaits his hot lap session to begin. 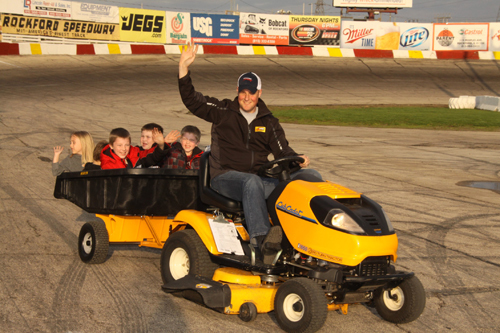 Race kids enjoying tractor rides thoughout the pits and onto the track sponsored by Tractor Town. Not a good position to be in is the driver of the # 45 Steve Gregory. Machesney Park, Illinois as he slides in front of fellow competitors. 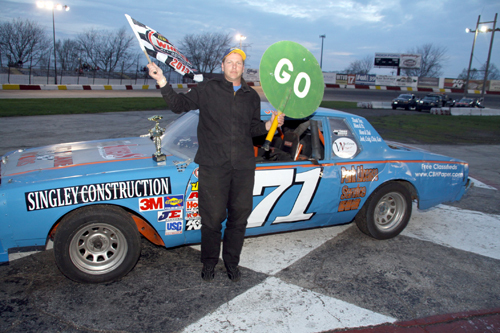 The Stop and Go race was won by Jason Van Hise # 71 Loves Park, Illinois. 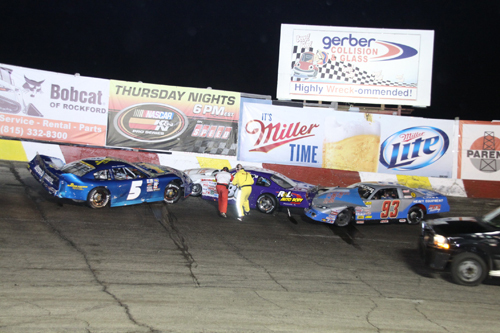 Allison Legacy cars line up prior to the start of their 20-lap feature event. 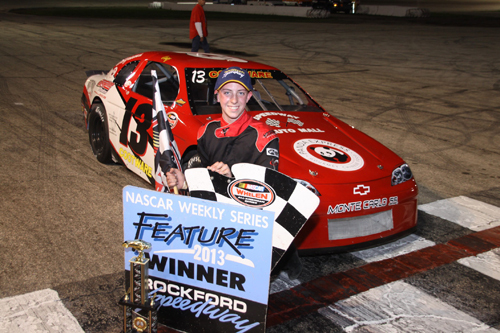 Cory Cootware, # 13 Iron Mountain, Michigan, in victory lane as he posted his first feature win for 2013 in the Midwest Allison Legacy series 20-lap main event. 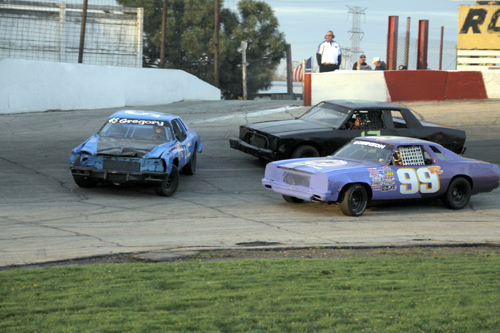 In the Sportsman division, the field chased Matt Lundberg. 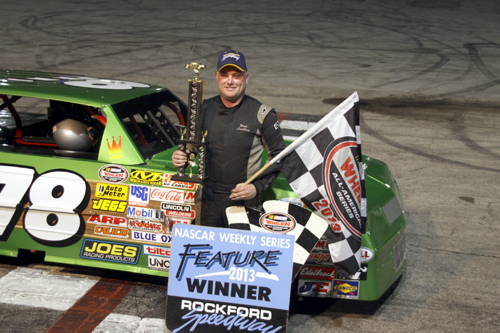 # 78 Rockford, Illinois as he came home the victor in the 25-lap feature event for the Bargain Hunter Sportsman. 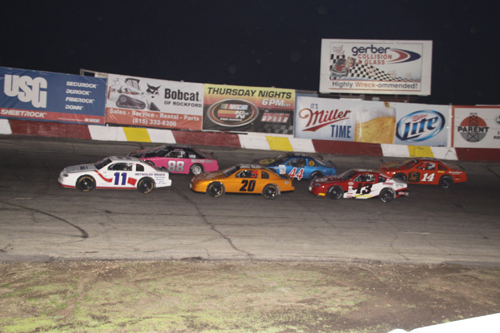 On the race's fifth lap, Salem, Wisconsin driver # 5 Dave Edwards would have his car suddenly snap sideways in turn three, finding the turn three wall and collecting Steve McBride # 86 South Beloit, Illinois and John Beinlich # 93 Prairie View, Illinois. 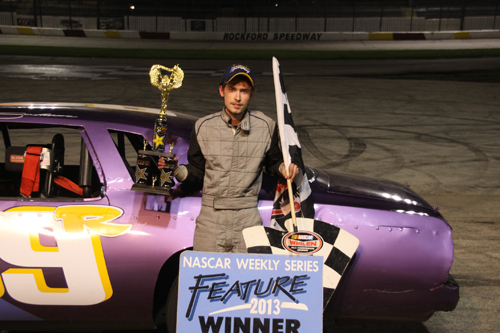 A first-time winner would grace victory lane in the RockStar Energy Drink RoadRunners. Trevor “Magic Shoes” Robinson # 99 South Beloit, Illinois would snare his first ever Roadrunner feature win, holding off the charge of another youngster, Austin Fowler.